It can be tempting to use different colors to create a unique aesthetic for each room in your home. However, using too many different colors can make your home feel disjointed and uncomfortable. Knowing which colors complement each other can help you connect your rooms with a similar aesthetic. It is important that you understand the three basic color schemes of complementary, monochromatic, and analogous. Complementary colors are a great way to add life and energy to your home. The best way to go about incorporating complementary colors into your home is to pair a warm color with a cool color. 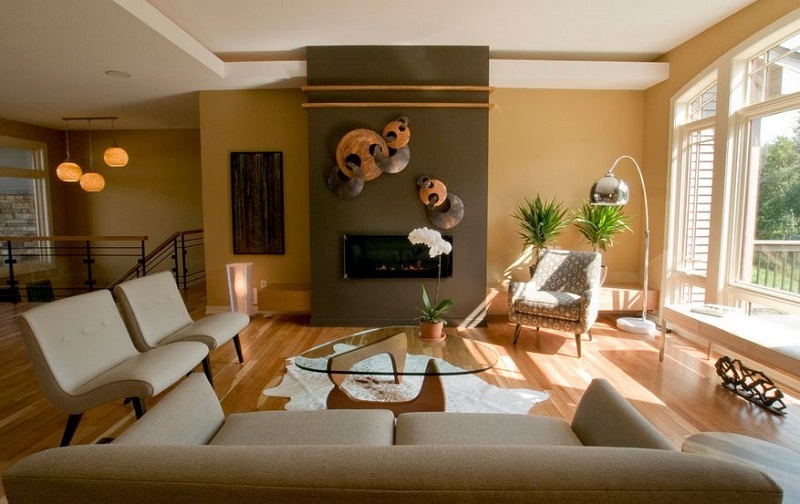 Monochromatic color schemes are created by using shades of the same color throughout a room. Monochromatic color schemes can be used to create a very simple yet elegant aesthetic. Additionally, you can add more variety by using colors outside of your selected color scheme to accent certain parts of the room. Lastly, analogous colors are colors which sit next to each other on the color wheel such as green and blue or orange and red. These colors are used to create very simple designs while still being visually engaging. You should decide which of these schemes you want to use throughout your home and stick to it. By incorporating similar colors in each room, you can maintain a feeling of continuity throughout your home. If you have any further questions regarding painting your home’s interior, feel free to contact Noel Painting for answers.